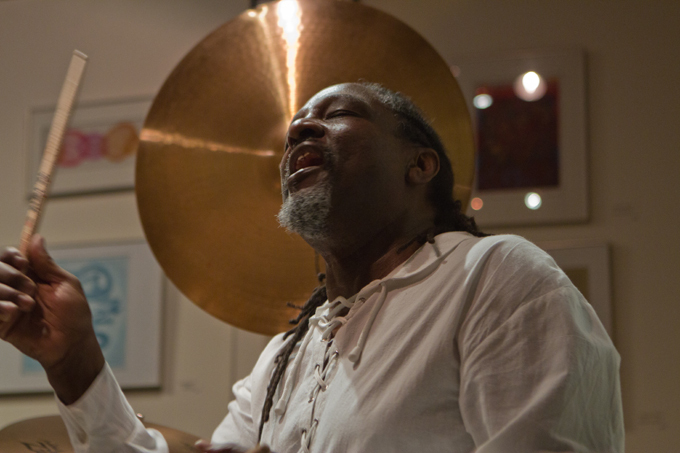 This Saturday, December 17, Jazz At Studio Z presents the Babatunde Lea Sextet premiering the “New Rituals of Unity” suite, co-composed by Babatunde Lea and sideman Zacc Harris, based on a series of traditional West African chants. As always, the concert will feature two sets of music starting at 7p with a master class preceding it at 6p. For this show’s master class, we will be doing a live podcast for the second time, presenting a conversation with Lea in front of a live audience. Advanced tickets are available for $10 at http://www.studiozstpaul.com/jasz-121716.html or tickets can be purchased at the door for $15. He has performed and recorded with luminaries such as Stan Getz, Joe Henderson, McCoy Tyner, Van Morrison, Leon Thomas, and Pharoah Sanders. At 6p, JASZ will record the second episode of the Jazz At Studio Z Podcast, presenting a conversation about music with Babatunde and a live audience. All are welcome to attend. –Studio Z is located on the second floor of the Northwestern Building in lowertown St. Paul, at 275 E 4th Street, on the corner of 4th and Wall. There is street parking available plus several lots, including the Farmers Market and the Union Depot lots.